After living in the States for twenty years, Nancee Brown Interiors is re-establishing her business in London! 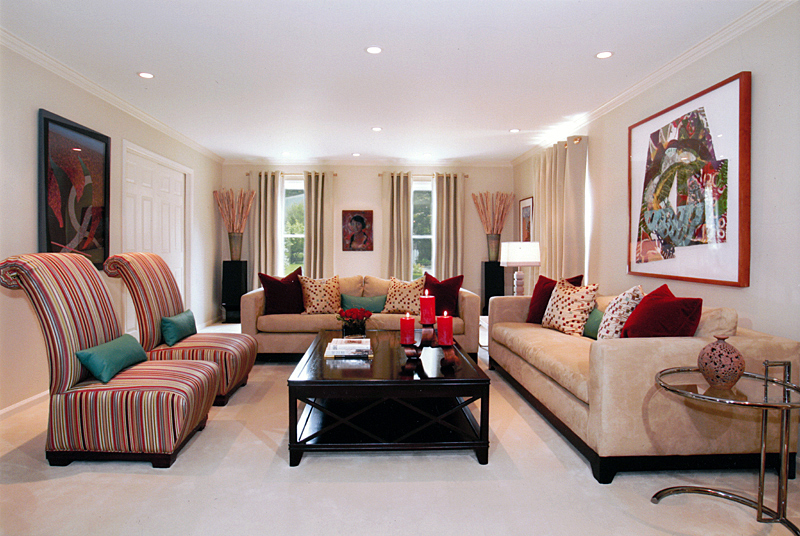 From transitional to contemporary, Nancee Brown ASID, designs custom interiors to reflect her clients’ personal tastes. With an unerring eye for color and proportion, she utilizes a variety of palettes and styles, to create a unique interior for each client. The breadth of her experience includes whole house renovations and new construction. She works closely with architects and builders at the beginning of the project, bringing her years of experience and design sensibilities to the table. This ensures that each client’s desires are creatively expressed. From transitional and traditional to contemporary styles, Nancee gets the groundwork of the space planning done first and develops the schemes with furniture and materials to express the desired look. We had a wonderful experience working with Nancee Brown. She is incredibly talented not only in her scope of work, but also In her ability to understand her client’s needs, and to be able to create a vision unique to each individual project. We worked with Nancee to revamp an entire home which included 10 rooms and 7 bathrooms. It took a number of years to complete and it was a wonderful working relationship which is a testament to her personal commitment to the job. We have also seen her work on small projects with the same dedication to quality of project and commitment to listening to what the client truly wants. She is a great communicator and understands the importance of the finer details of design, which makes the impact of the final project so successful. Nancee Brown is a very talented designer. As her photographer on the east coast for many years, I saw her ideas start on paper and develop into stunning interiors. But that’s not all. She does not work alone. She works alongside her clients and considers their needs and desires and finds innovative solutions to their problems and concerns. From start to finish, Nancee is the person you want for thoughtful, innovative solutions to achieve your interior design master plan. Nancee was an integral part of my home renovation in 2009 and we continued to work with one another on various projects in my home for many years afterwards. Nancee was an amazing project manager, she was organized and focused on various tasks that needed to be completed, often simultaneously. She was able to envision spaces before they were completed and sketch out floor plans and provide design options that were creative and spoke to my needs and tastes. It was no small feat to select paint colors, wallpapers, carpeting etc for every room of my home prior to moving back in. And yet, here we are 9 years later and I still love the selections she made back then. Her style is timeless and yet she is willing to take risks and have fun. She is particularly good at understanding her client’s needs and priorities. She was incredibly patient and her constant energy kept all projects moving forward. While working with Nancee, I referred her to several friends and each of them loved working with her as much as I did. It was also great to see how Nancee was able to meet the different tastes and needs of her different clients. I also have to admit I love that Nancee is an artist, an author and lives life to the fullest. She is a pleasure to be around and I am only sad that she has relocated so far away! 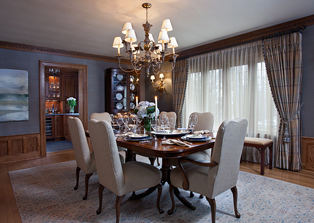 Nancee Brown Interiors is an award winning, full service interior design firm. In 2017 Nancee won the American Society of Interior Design Bronze Design Excellence Award for her Serene Bath in Far Hills. Having trained at the New York School of Interior Design, Nancee has lived in London, New Jersey, New York City, San Francisco and is now based in London again; coupled with her love of travel, this enables her to bring a wide range of experience to the table. Nancee Brown Interiors specializes in residential design yet she has a commercial design background that contributes to an organized and thorough approach to solving design challenges. 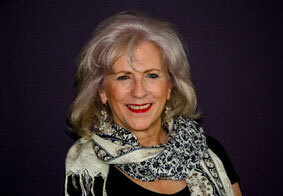 With a flair for color, Nancee interprets each client’s wishes in a very personalized way. From transitional and traditional to contemporary styles, Nancee gets the groundwork of the space planning down first and then develops the schemes with furniture and materials to express the desired look. 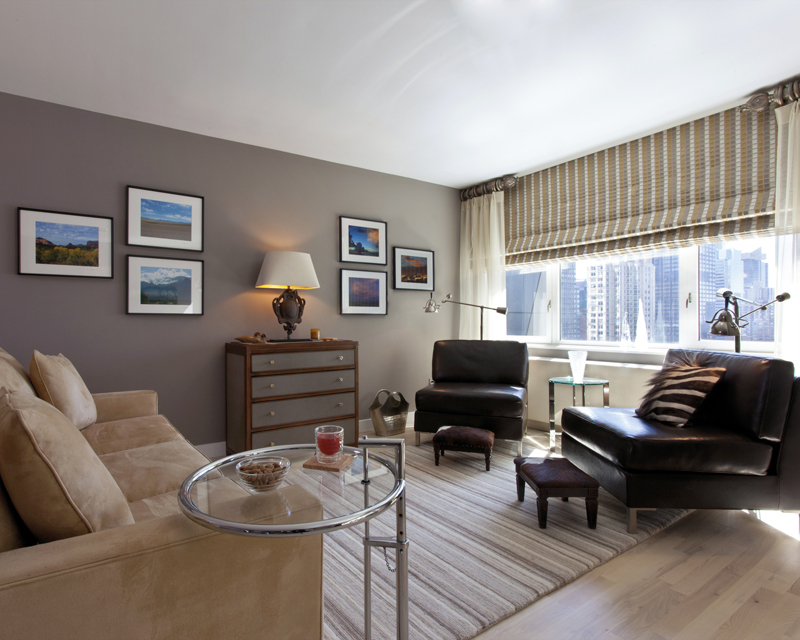 Nancee also designs custom furniture to provide bespoke solutions as needed. Nancee prides herself on not having one design style as well as her ability to deliver the project on time and within budget. The breadth of her experience includes whole house renovations and new construction. She works closely with architects and builders at the beginning of the project, tapping into her years of experience and design sensibilities, each solution is designed with the client’s wishes in mind. 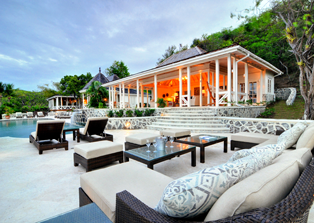 Nancee also completed projects in London and on the island of Mustique in the Caribbean while based in NJ and is very comfortable with matching local vernacular with brilliant design ideas. Nancee is an NCIDQ Qualified Designer and has served on the Board of the San Francisco chapter of the American Society of Interior Designers as President-Elect and President. Complete turnkey interior design work from a whole room to a whole house, Nancee provides floor plans, lighting plans, color schemes, furniture selection, window treatments and accessories. Custom furniture and Artwork selection is also offered.